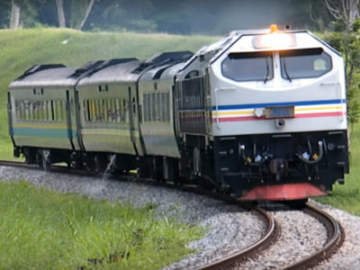 For travellers who are going to Seremban, Kuala Lumpur and beyond or coming from the north to Segamat, Kluang or Johor Bahru, please plan your trip to allow sufficient time to change train at Gemas train station. Where is Gemas on KTM Route Map? 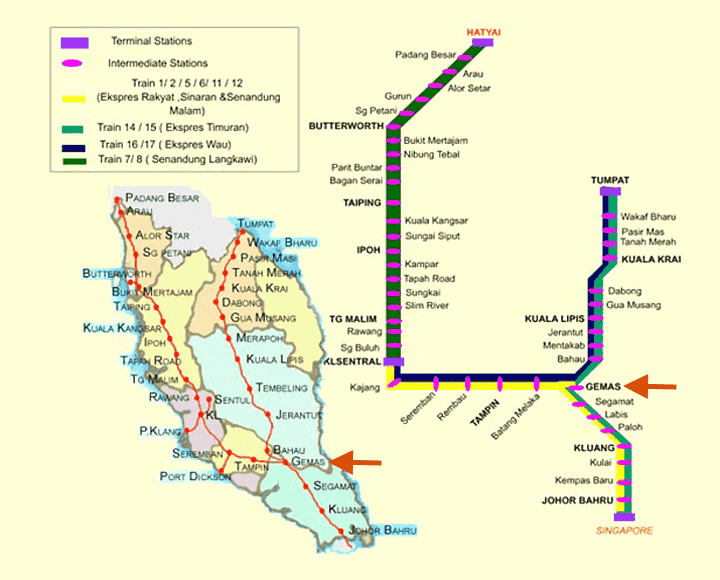 For north-bound train, Gemas is after Segamat station and for south-bound train it is after Batang Melaka station. For example, if you are taking the KTM train from JB Sentral to Tampin, Seremban, Kuala Lumpur or further north, you will have to change train at Gemas. And if you are coming from the north e.g. Kuala Lumpur, Ipoh or Butterworth going to the state of Johor e.g. 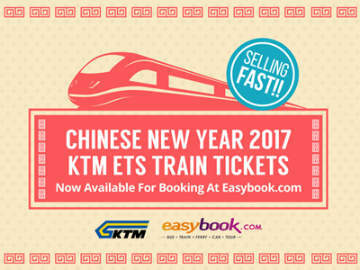 Segamat, Kluang or JB Sentral, you will also have to change train at Gemas.